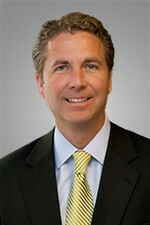 Robert Shannon is Hinshaw & Culbertson's Managing Partner. He also represents corporate clients in litigation and regulatory matters. He has significant trial experience in high profile matters, and was honored by the Jury Verdict Reporter for obtaining one of the top defense verdicts in 2014 for one of his long-time clients, the Chicago White Sox. Mr. Shannon also represents business clients in compliance, regulatory and licensing matters, where he also provides strategic legal counsel. Beyond his business counsel, Mr. Shannon concentrates his government litigation practice counseling elected officials, public entities and political action committees. Mr. Shannon serves as the Managing Partner of Hinshaw & Culbertson LLP. Prior to being named Managing Partner in March 2016, he was the leader of the firm's Government Practice Group. Mr. Shannon also serves on Hinshaw's Executive Committee. Mr. Shannon currently serves as Special Assistant State's Attorney. Prior to joining Hinshaw in March 1999, Mr. Shannon was a prosecutor with the City of Chicago's Special Prosecutions Division, where he gained significant trial experience in the Cook County criminal court system. After serving as a prosecutor, Mr. Shannon defended the City of Chicago in federal civil rights litigation. He also advised the Chicago Police Department on arrest and First Amendment issues arising during the 1996 Democratic National Convention. Mr. Shannon entered public service as an assistant to former U.S. Senator Alan J. Dixon, in both the Senator's Chicago and Washington, D.C. offices. He subsequently worked as a Legislative Assistant to U.S. Representative Charles Hatcher, focusing on the Congressman's domestic legislative positions. He was on the faculty at Loyola University School of Law for three years, where he taught first year law students legal writing and oral advocacy. Recipient of the 2014 Jury Verdict Reporter Award for Trial Lawyer Excellence in the category of "Outstanding Defense Verdict in a Premises Liability Case." Defense of Michael J. Madigan in Federal lawsuit Gonzalez v. Madigan (2017); et al. Successfully defended the Cook County Sheriff's office against constitutional class action brought by Northwestern University MacArthur Justice Center against Cook County Jail practices in Hudson, et al. v. Cook County Sheriff. Successful trial defense of Chicago White Sox security policies in Uhler v. Chicago White Sox. Successful trial defense of Chicago police officer in federal civil rights lawsuit Buchanan v. Officer Hammermeister. Represented two U.S. Congressmen in the lawsuit brought by Illinois Republicans challenging the congressional map drawn by Illinois Democrats in Judy Biggert, et al. v. Illinois State Board of Elections, et al. Lead attorney representing Cook County Sheriff in the well-known lawsuit Michael Shakman v. Democratic Party of Cook County. Represented Cook County Recorder of Deeds in Michael Shakman v. Democratic Party of Cook County. Lead attorney defending Cook County Sheriff, in the wrongful death lawsuit Michael Chambers v. Sheriff Sheahan, arising out of a wedding brawl at the Countryside Holiday Inn. This lawsuit was identified by Crain’s Chicago Business as one of its most significant cases in 2007. Defended the State of Illinois highway construction program for minority and disadvantaged businesses against federal constitutional attack in Northern Contracting v. IDOT. Defended Illinois State Treasurer, in a constitutional class action lawsuit in Canel v. Rutherford. Lead attorney defending the Chicago White Sox in a lawsuit brought by former Kansas City Royals coach, Thomas Gamboa, based upon an attack by father and son spectators during a game at U.S. Cellular Field. Defended the White Sox in the Illinois Appellate Court in both Mazin v. Chicago White Sox and Marianne Fricano v. Chicago White Sox, et al. Lead trial attorney in successful defense of White Sox ball park security practices in Shugrue v. Chicago White Sox. Trial attorney in the successful defense of the State of Illinois Sexually Violent Persons Commitment Program against constitutional attack brought by the American Civil Liberties Union (ACLU) in Hargett v. Department of Human Services. "Finding the Fun at the Firm," Chicago Lawyer Magazine, July 2015. "Rules of the Game: For Running Back, Court Appeal Is 4th-and-Long," Chicago Lawyer Magazine, February 2015. "Rules of the Game: Caffeine Buzz More Than a Pick-Me-Up – New Forms of the Drug May Bring Much-Needed Regulation," Chicago Lawyer Magazine, October 2014. "Rules of the Game: Pot and Professional Sports?," Chicago Lawyer Magazine, April 2014. "Rules of the Game: Vegas, Baby - States Want Sports Betting," Chicago Lawyer Magazine, September 2013. "Garden State Fights for Sports Betting," Chicago Daily Law Bulletin, April 23, 2013. "Rules of the Game: Consequences of Armstrong's 'Confession'," Chicago Lawyer Magazine, March 2013. "Armstrong Fallout Affects Many Areas," Chicago Daily Law Bulletin, December 4, 2012. "Rules of the Game: Concussion Lawsuits Face Court Hurdles," Chicago Lawyer Magazine, November 2012. "Rules of the Game: Vilma May Shed Light on NFL Investigation," Chicago Lawyer Magazine, July 2012. "NCAA Reacts to Social Media Reality," Chicago Daily Law Bulletin, July 10, 2012. "Rules of the Game: Bounty Program Increases Focus on Injuries," Chicago Lawyer Magazine, May 2012. "Saints Get Hit With New Allegations," Chicago Daily Law Bulletin, May 8, 2012. "Concussion Controversy May Play Out in the Legal System," Chicago Daily Law Bulletin, March 13, 2012. "Rules of the Game: Different Takes on Toradol," Chicago Lawyer Magazine, March 2012. "Hurd's Arrest May Lead to Larger Fallout of Other NFL Players, Teams," Chicago Daily Law Bulletin, January 10, 2012. "NBA Players, Owners Prepare to Salvage Season With New Agreement," Chicago Daily Law Bulletin, November 29, 2011.